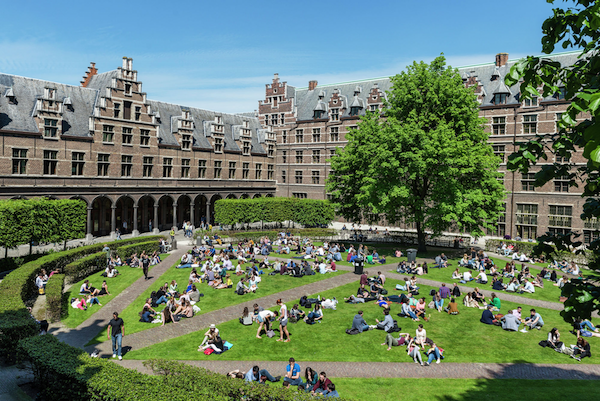 For those who cannot attend the ATypI Tokyo conference: Typography Summer School at the University of Antwerp from 2 till 6 September 2019. An intensive 5-day program on the value of research for a better understanding of type and typography. Today everyone who uses a computer is practically a typesetter and typography is hardly considered a specialism anymore. Conventions are automatically maintained: practitioners of typography –professionals and amateurs– base their typographical decisions on what is considered common. The legibility aspect, for example, seems easy to control by selecting type that is generally accepted, without the requirement of knowledge of what legibility exactly comprises. As a consequence the conventions and related conditioning are basically never questioned. Art historian Ernst Gombrich notes that the stimulus patterns on the retina are not alone in determining our picture of the visual world, and that its messages are modified by what we know about the ‘real’ shape of objects. In other words: ‘One cannot see more than one knows.’ But what exactly do we know of type and typography and what do we consequently see? What forms the basis of the typographical conventions and how solid is this basis anyway? Could research, whether scientﬁcally based and/or empirically oriented, tell us more about this basis? Furthermore, would the resulting knowledge be useful for the practitioners of typography? This summer school will investigate and discuss the value of research for typography. The ﬁve keywords are ‘Perception’, ‘History’, ‘Convention’, ‘Technology’ and ‘Legibility’. Answers to the related research questions will be, for example, distilled from the study of artifacts in the collection of the illustrious Museum Plantin-Moretus. After all, the typographical conventions were ﬁxed with the invention of movable type (and related technical constraints) during the Renaissance. Present-day font technology is developed with the same conventions and even Renaissance technical constraints in mind still. Hence, during the course also the focus will be on how digital font technology has developed since the early 1970s. The technical possibilities for Latin and non-Latin scripts will be further investigated, theoretically as also practically, in relation to the typographical conventions.